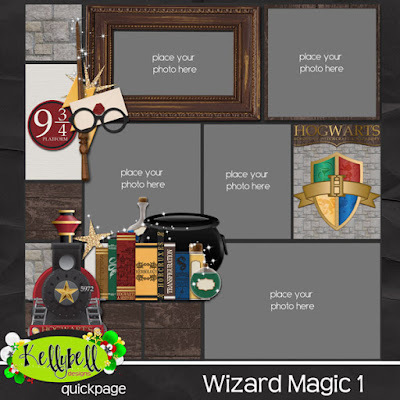 Calling all Harry Potter fans! 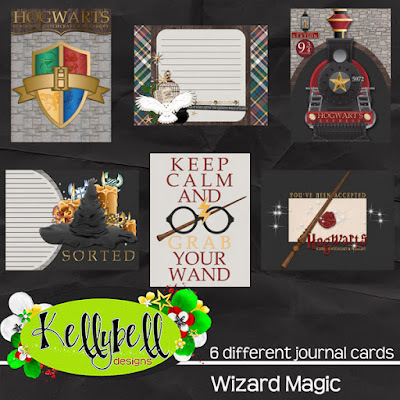 Kelly has a wonderful new collection this week - Wizard Magic. 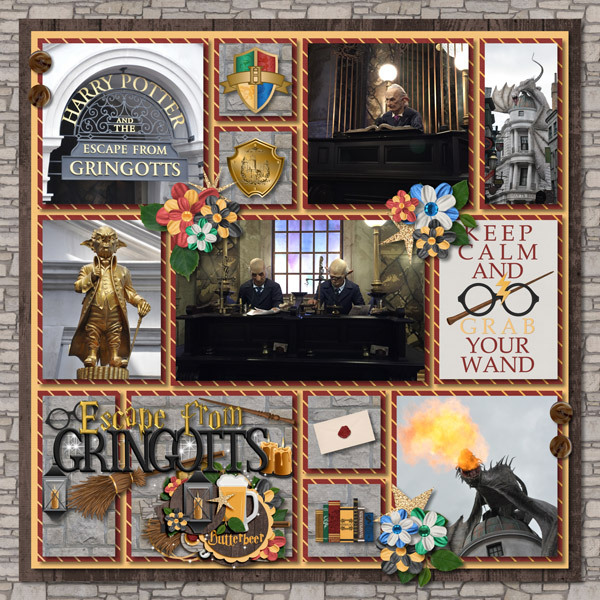 This amazing kit and extras are a must have for scrapbooking pages of The Wizarding World of Harry Potter visits and favorite books, movies and costumes celebrating the popular series. 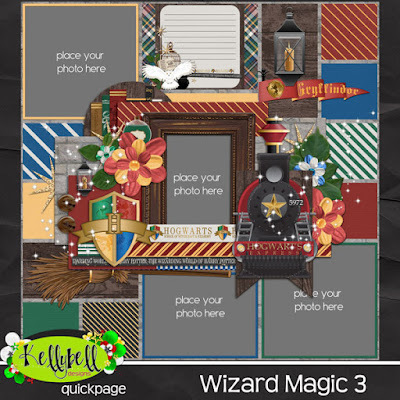 You will want to be sure to add the Page Starters, Word Art, and Journal Cards to your stash. 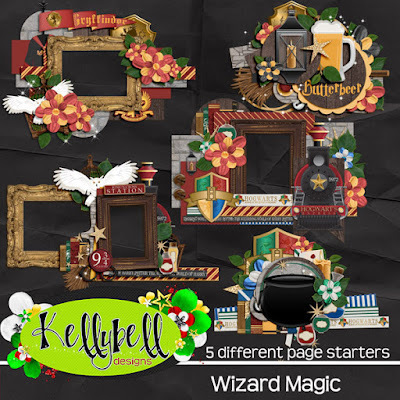 For magically easy scrapping, Kelly has created 4 gorgeous Quick Pages that coordinate with the collection. 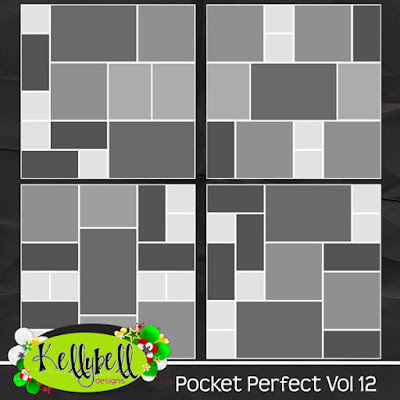 To make the cauldron just a little sweeter, grab Pocket Perfect Volume 12 templates! 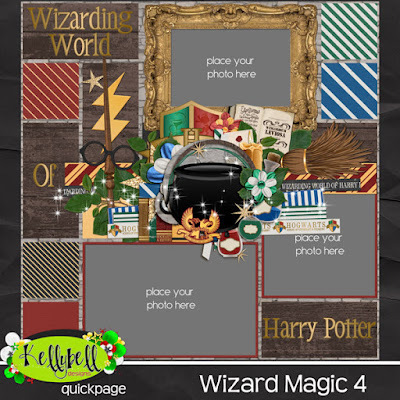 This magical kit contains 15 patterned, stone and solid papers and a full alpha of slick black. 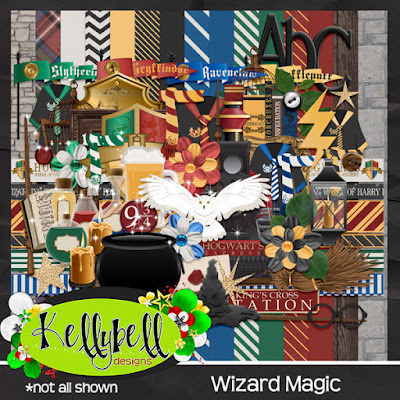 Unique elements include sorting hat, cauldron, wands, owl, robes, shields, scarves, crests, ties, broom, books, glasses, butterbeer, cage, flags, train, platform sign, candles, potions and much more! 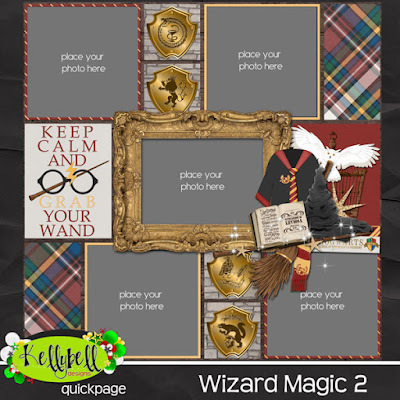 Now how about some wonderful coordinating freebies from the team? 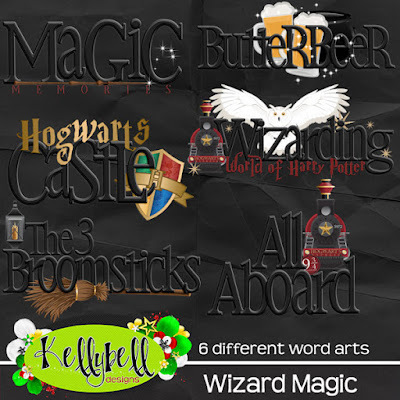 You can find them at Julie's blog, Linda P.'s blog, and Julie P.'s blog.